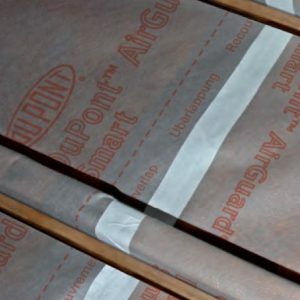 DuPont™ AirGuard® Control is designed to reduce uncontrolled air leakage and minimise convective heat loss in roofs, walls and floors. 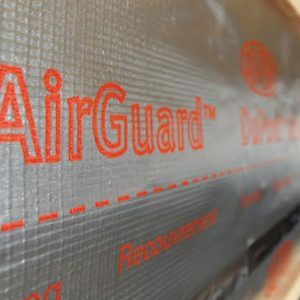 A continuous layer of DuPont™ AirGuard® Control reduces air leakage by providing an effective vapour control barrier to control air movement and moisture infiltration around the habitable space of the building. Place the membrane against the ceiling, allowing a 100mm lap onto/down the adjacent walls. Remove the release liner from the tape and press the membrane firmly into place. Fold the membrane in the corner, do not cut off the fold. 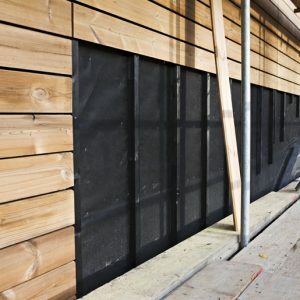 Its metallised surface offers a very low emissivity which significantly improves thermal insulation performance, providing an additional 0.652 m2K/W to the u-value. Ideal for applications with high humidity that require a high resistance AVCL. 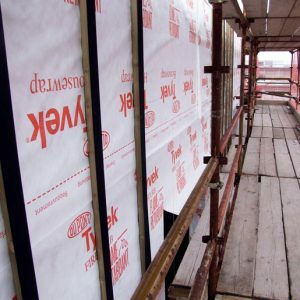 DuPont™ Tyvek® FireCurb™ – a Fire Retardant Membrane DuPont™ Tyvek® FireCurb™ Housewrap is a fire retardant membrane for commercial and residential buildings that uses new, patented technology. 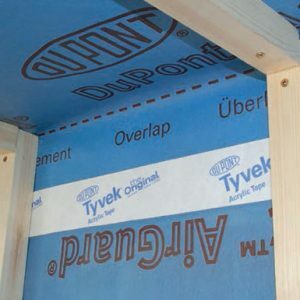 DuPont™ Tyvek® FireCurb™ Housewrap is a lightweight, advanced, fire retardant membrane that self-extinguishes when ignited. It uses a halogen-free flame retardant coating to reduce the formation of droplets and smoke with minimal environmental impact. 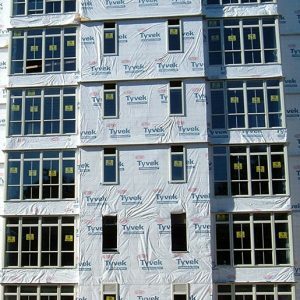 DuPont™ Tyvek® Acrylic Tape is a single-sided acrylic tape that is particularly suitable for damage repairs or making good as well as seals around pipes, windows or overlaps. 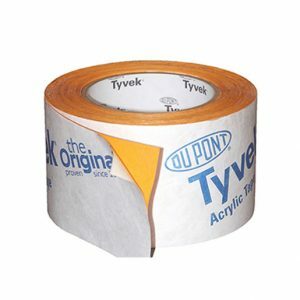 Tyvek® Acrylic Tape is made of durable Tyvek® HDPE and acrylic adhesive for strong, durable bonds. 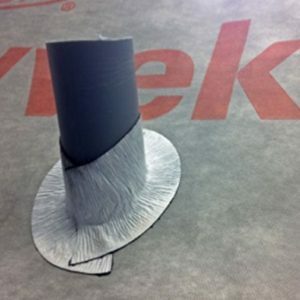 It is recommended for use with most Tyvek® breather membranes and AirGuard® air and vapour control layers (AVCLs). 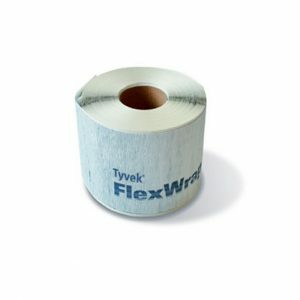 Single-sided DuPont Tyvek® tape (HD-PE) with modified acrylic adhesive and a paper split-release liner. 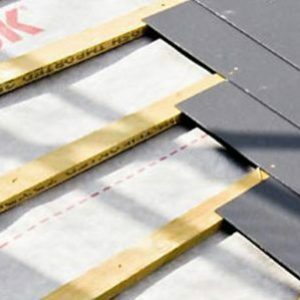 The tape is suitable for sealing membrane laps, but particularly suitable for making good around penetrations and for damage repair for most Tyvek® Underlays and Vapour Control Layers.